The Betlem Club hotel in center Prague offers its own pick-up service. Our comfortable cars will give you a pleasant drive through Prague traffic from airport to our hotel. 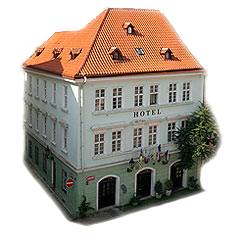 From our hotel pick up service Prague you can also order a mini bus from anywhere in the Czech Republic (17 CZK/km). The price lists in EUR are only presented for information and they may differ with regard to the current exchange rate between EUR and CZK. If you order transport from the airport or railway station to the hotel, you must specify the number of your flight/train, the arrival time and the number of transported people. In the arrival hall/on the platform a driver with the Betlem Club sign will be waiting for you. If you do not find our driver in the arrival hall/on the platform, phone 222 22 15 74. If a guest does not appear, 50% of the price will be charged.